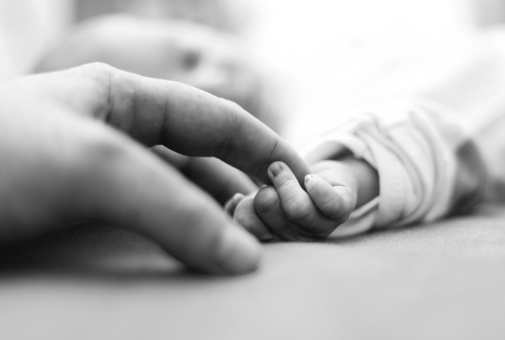 The team of Utah birth injury attorneys at Eisbrouch Marsh are committed advocates working each day to help the families of babies who have suffered harm as a result of medical negligence during the process of labor and delivery. We have spent years building a reputation for offering clients an unrivaled level of personalized service and zealous representation during what is inevitably a wrenching time in their lives. Our attorneys will do everything possible to maximize our clients’ financial recovery so that they can begin the process of healing in the aftermath of unnecessary and often preventable medical errors. Witnessing a young child battle against the effects of severe developmental delays and lasting physical limitations caused by medical negligence at birth is among the most difficult things a parent can experience. Mothers and fathers who are faced with this circumstance often wonder how they will ever be able to provide financially for the additional medical care and support service their youngster is certain to need well into the future. If your family is experiencing this particular misfortune, our medical malpractice lawyers are prepared to help. We are ready to offer a comprehensive review of the facts of your child’s case and provide honest, insightful opinions about the proper course of legal action to pursue. Every jurisdiction places a time limit within which legal actions must be initiated, and anyone considering a lawsuit must familiarize themselves with the rules that apply to their situation. In Utah, medical malpractice suits must be started within two years of the alleged injury. This two-year rule was intended to apply even to minors and those under a legally-recognized disability, though such a limit has been held to be violative of the Utah Constitution when applied to plaintiffs who have yet to reach the age of majority. Many states also impose limitations on the dollar amount of damages that medical malpractice plaintiffs may be awarded. Dating back to May of 2010, the state of Utah has imposed a non-economic damage cap of $450,000 for medical malpractice cases, and the amount is not adjusted annually for inflation. Non-economic damages are payments for things such as pain, emotional distress, suffering and inconvenience. No cap applies to economic damages such as medical bills, lost wages and the like. Future adjustments to the non-economic damage cap in Utah will require a statutory amendment by the legislature. Allegations against governmental agencies and their respective employees fall under the Utah Governmental Immunity Act. The statute applies to counties, cities, the state and its various agencies. The law includes broad immunity that covers all government-owned hospitals, nursing homes and other types of governmental health care providers. The Act also provides immunity from personal liability for employees who are acting within the scope of their employment duties, except in cases of actual malice or fraud. However, in the majority of cases, the Act is rendered moot by Utah Code Ann. Section 63-30-4, which works to waive immunity for injuries resulting from the negligent act or omission of employees occurring during the normal scope of employment. Governmental agencies are immune from any punitive damages, and health care providers enjoy qualified immunity for services performed without remuneration at certain charitable facilities. State legislatures in Utah recently put into place additional protection for emergency room doctors from malpractice claims. The law has raised the standard of proof in cases involving such professionals from the prior “preponderance of evidence” standard to a “clear and convincing” standard. The intention was to compensate for the fact that federal law requires emergency room physicians to treat any incoming patient, even if their prior medical history is unknown. It is important to note that malpractice actions filed against any health care professional cannot be initiated until a plaintiff provides the prospective defendants at least 90 days’ notice of his or her intent to file a lawsuit. In addition, if a pre-litigation hearing panel does not issue an opinion attesting to a claim’s validity, to a prospective plaintiff, a lawsuit cannot commence until an “affidavit of merit” is secured after consultation with a duly licensed and qualified health care provider. In birth injury negligence cases, plaintiffs must show that the health care providers in question committed acts or omissions that constituted a deviation from the prevailing standard of care. Thus, their behavior must be demonstrated to have fallen below that of someone with the same degree of learning and skill possessed by another practitioner in the same specialty under similar types of circumstances. Plaintiffs must present testimony at trial from a medical expert willing to attest that the conduct at issue breached the standard of care, unless the negligence is so blatant as to be immediately discernable by a layperson. As Utah birth injury lawyers, we have spent years assembling an unrivaled network of medical experts, researchers, case investigators and support staff, all of whom work together to review relevant records, reconstruct time lines of events and build the most effective case possible on behalf of every client our firm is privileged to serve. The legal system offers the parents of children injured by labor and delivery negligence the opportunity to seek fair financial compensation and accountability from those responsible for the harm done. It is possible to initiate a birth injury lawsuit in Utah against doctors, medical assistants, nurses, hospital staff and hospital facilities themselves in order to secure justice. If you believe your child’s birth injuries resulted from medical negligence during labor or delivery, you owe it to your family to secure a thorough review of the facts of your case. We stand ready to provide the analysis you need to make informed decisions about your son or daughter’s future. Parents whose children have sustained serious injuries at birth face a frightening, uncertain road. We understand the agony, fear and frustration you are likely feeling. The specter of decades of costly medical care and rehabilitative services is surely adding to your anxiety, and it is our mission to help ease your burden. With over 45 years of success fighting for the rights of injury victims, we invite you to begin the process of exploring the options the law provides. To receive a no-cost preliminary consultation, contact us at 855-60-BIRTH. As always, we accept no fees unless and until we secure a financial recovery for your family.